Founded in 1982 by John Eells, the orchestra has grown from 30 members to over 90 today. 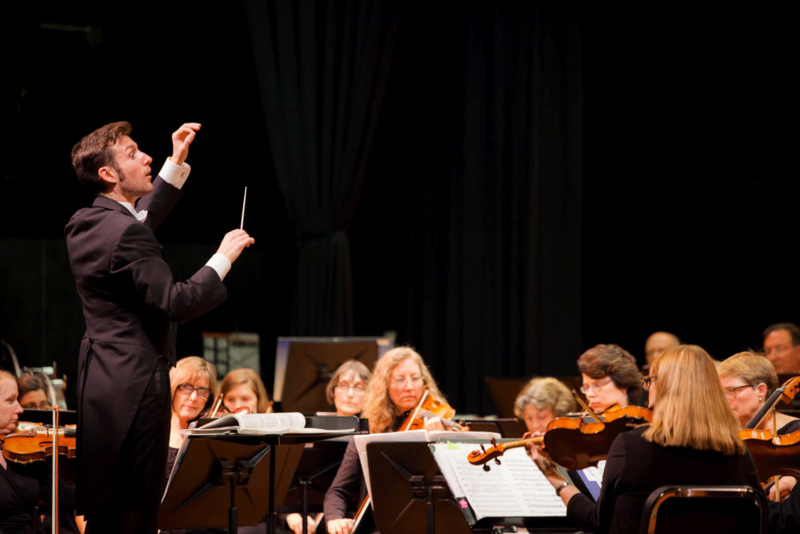 As one of Connecticut’s premier civic orchestras, the Farmington Valley Symphony Orchestra presents 4-5 classical concerts each year, in addition to popular holiday and summer pops concerts. Its repertoire is comprised of orchestral war horses like Beethoven, Brahms and Tchaikovsky, in addition to lesser known and contemporary works. In 2016 it presented William Perry’s The Silent Years, which accompanied three silent films projected above the orchestra. Players come from a wide assortment of backgrounds and occupations mostly from Greater Hartford and the Farmington River Valley. In 2014, the orchestra selected Jonathan Brennand as its new Music Director after an exhaustive year long search from over 60 applicants. He is the second Music Director following in the footsteps of John Eells, who retired in 2013. The Farmington Valley Symphony Orchestra is dedicated to promoting musical excellence as a living part of our community, through performances and educational programs for all audiences, thereby fostering an appreciation for and knowledge of music, enriching the cultural life of our region. The Farmington Valley Symphony Orchestra will strive for organizational excellence through volunteerism, provide necessary resources to ensure financial stability, expand community recognition and involvement, support innovative, diverse, and dynamic programming, foster a variety of educational opportunities and experiences, increase our current audience and cultivate a new generation of symphony lovers and subscribers.